Since transportation and generators are entirely dependent on gasoline, this shortage has resulted in people not being able to fuel their transports and motorcycles, and no electricity/power for weeks. In a 1-2 week period of time the US dollar to goude worth ratio went from 1 to 60, to 1 to 93! The rapid drop in value of the Haitian goude has resulted in a literal doubling of food costs. A bag of rice increased in cost from 750 goudes to over 1500 goudes! Thus, the already impoverished population cannot afford to eat resulting in hunger and starvation rising at an alarming rate. These problems, amongst others, resulted in massive countrywide protests and demonstrations that rapidly turned violent. Manifestations of this national anger were seen as roads were blocked with burning tires, entire trees, and boulders. Attempts to pass these roadblocks could result in serious injury as rocks and bottles would be thrown and machetes swung in the direction of anyone attempting to pass through. Cars were being burned in the streets, hospitals were being over-run with those injured from rocks and machete wounds, police were being targeted and in some instances murdered, citizens were being beaten and killed by police as they would open fire into large crowds, and fighting between people was resulting in many deaths. There were also threats made to stop all Digicel service (the Haitian phone carrier), which would effectively halt bank and ATM transactions, phone service, and internet service. I was out observing all of this first-hand and many Haitians whom I spoke with said that they had never seen things so bad! This violence all developed very quickly, and shortly after this began, the CIA and United States State Department increased the travel advisory for Haiti to a level 4 (do not travel), and ordered the mandatory evacuation of the US Embassy in Haiti and told all US citizens working in the country to leave. Over the course of 2-3 days the embassy workers left the country along with countless aid workers and missionaries. Secondary to all of this occurring I made the decision to leave too, so Joy called the airline to change our tickets and within 2 days we flew back to the States. I relate this story not just to inform you all about what is occurring in Haiti, but also to share a valuable lesson that God taught me through all of this. To properly relate this I must step back and share with all of you what God had been doing through Charis before and during this breakout of violence. 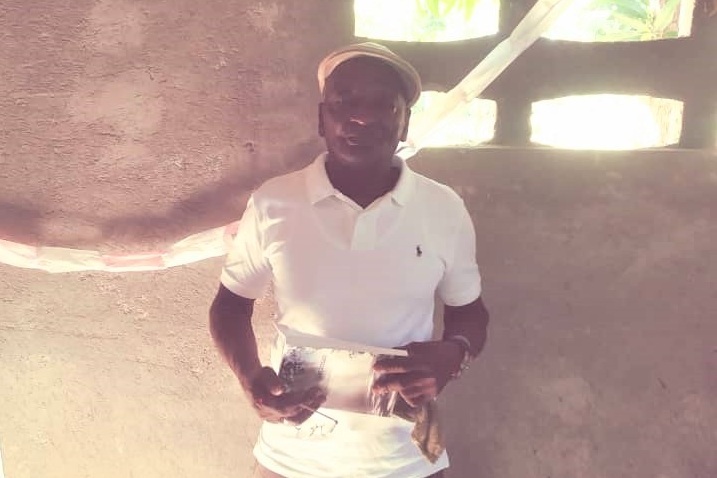 When we arrived back in Haiti the first week of January we knew we had many people to see secondary to the massive amount of evangelism that Deba had been performing while we were in the States. When we are in the US we talk to our Haitian brothers and sisters every day. It is not uncommon for us to wake up in the morning and have over 30 messages on our phones from various Haitian friends. So we knew very well that Deba (the vodou priestess who had accepted Christ after we brought the gospel to her a little over a year ago) had been aggressively evangelizing every vodou priest and priestess she could find in her area and beyond it. Sano, Lukson, and Latigue (3 vodou priests that had accepted the Lord through the ministry), had also been evangelizing the surrounding mountain communities. Latigue had even gotten on a boat and travelled to a mountain community 6 hours away to bring the gospel there after it was brought to his attention that this area had no church or witness for Christ! So we are blessed to have literal soldiers for Christ on the ground entering into the spiritual warfare of Haiti every day performing evangelism that increases the power and efficacy of this ministry exponentially. Thus, when we returned in January we had a lot of work to do. While all of our above-mentioned converts/evangelists can relay their testimony and a simple gospel message, they haven’t yet reached the point of being able to engage in a theological conversation and answer questions with Bible references. Therefore, it is still necessary that I go to ensure that the complete gospel is shared and all questions answered through the use of Scripture. This year has begun differently though, and Joy and I feel so honored and blessed to be front row spectators of the work God is doing. Nearly every vodou priest that Deba has brought me to this year, after hearing the entire gospel, was ready and willing to burn all of their vodou idols and paraphernalia and surrender their lives to Christ! This amazed me because vodouists will commonly say that they want to come to Christ, but want me to give them something (i.e. money) before they do. It is only when they are willing to burn their vodou objects without asking me what I can give them that I know their repentance is genuine and that their hearts are truly being regenerated. Speaking to these men and women who were repenting and turning from spiritual darkness to light, I clearly discerned that deep down they were truly desperate to know God, because serving Satan, who is a vicious taskmaster, was both physically and spiritually destructive. So, as I sat with them after burning their vodou idols my mind was filled with amazement at their willingness to give away everything to follow Christ! Honestly it shamed me when I considered our ‘salvations’ in the States that come at absolutely no cost to us (which begs the question of authenticity of salvation but that is a different conversation for another day). Immediately following salvation I always speak with them to set up weekly discipleship meetings in which we study Scripture and Christian living. I also inquire about what they want to now do to support themselves. After I hear what they want to do I make a commitment to help them get started in whatever small business enterprise they desire to enter. On average this cost is around $500- $600 US dollars, after which they can maintain their lives and earn enough money to eat and keep up their households. Even when Paul was torturing, imprisoning, and murdering Christians, God still saw him as one He had set apart for election before he was even born—how great is that to meditate upon! This shows us that no one, absolutely no one, is beyond God’s grace and because we don’t know exactly who the elect are, we should passionately pursue the souls of men through evangelism! Week after week we were witnessing scores of vodou priests surrender their lives to Christ. As an aside, this has absolutely nothing to do with me as I don’t have the power to convert people. But ALL glory to God for this harvest in Haiti, and Joy and I were overjoyed seeing this incredible display of Divine grace and salvation! Something you learn to appreciate when you are a missionary is spiritual warfare! Great victories for the Kingdom of Christ attracts the attention of Satan, and he will not allow you to work unopposed. Satan and his demons will oppose you with everything they have within the allowance of God, and thus when the opposition begins we should be expecting it. When this opposition starts I strongly believe that God, who has allowed it to occur, is looking solely at you–His missionary, son, and servant–to observe your response. Every response to Satan has two components; WHO and WHAT. WHO will you run to when Satan attacks? Will you run to a human, a Christian leader, your own thought up strategy—or will you run to Christ? Secondly, WHAT will you do? Will you listen to your instincts, your common sense, or human advice, or will you place your faith in God and not allow carnally driven solutions to dictate your response? I write newsletters for two reasons; 1) to inform you all of what is going on in the ministry to raise your awareness; and 2) to maintain transparency so that you all can benefit from reading about both our successes and our failures—and I’m sad to say that this particular newsletter reveals my failure. Now in the middle of all of these miraculous, daily conversions and victories over Satan, the political violence discussed above began to break out. 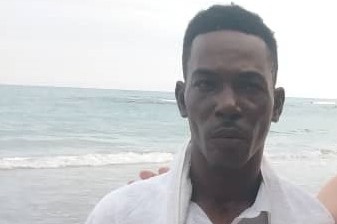 When I, as the leader of my family, looked at the overall situation in Haiti and considered the violence, danger, and potential harm to my family that could result, I made the decision to leave. I can’t imagine that many of you reading this would disagree with my assessment and subsequent decision. During this time though, I had a very powerful worldly triad serving as advisors to my mind as the influential suggestions offered by common sense, practical thinking, and logic were all urging me to leave, and their flesh catering recommendation found a friend in the worldly aspects of my nature. Their seductions were successful and I packed up my family and flew back to the U.S. There are many additional verses I could cite here, but the teaching is clear—the Christian life should be completely devoid of fear. We see this in Scripture through observing the lives of the prophets, Christ and the disciples/apostles. They did not fear beatings, scourging, tortures, being sawn in two, or being crucified. Why didn’t they fear these things? Because they believed and obeyed the words of Christ. They saw themselves as citizens of heaven, their hope was in Christ alone, their strength was through God, and thus their earthly lives were not viewed with eyes focused toward self-preservation. This verse should show us how far our minds have fallen from Biblical thinking. Can the average Christian in America relate to any part of this verse, or has our self-obsession robbed us of fruitful, Biblical, God pleasing living? Everything is self-based in America—we are self- secure, self-serving, self-glorifying, self-righteous, self-absorbed, self- comforted, and controlled by our sense of self-worth. We have created a society in which self transcends God and this is why we are as guilty of idolatry as the vodou priests are. Considering this, the vodou priest is in a better predicament than we are because I can go and burn his idols, but it would be hard for us to burn our biggest idol because to do that we would have to set ourselves ablaze! With all of this swarming through my mind I became very convicted and knew that I had sinned by allowing the spirit of fear to overtake me and lead me away from obedience as I failed to place all of my faith in God. I had allowed my family to become an idol, and my fear to become a temporary god that directed my decisions and actions. After discussing this with Joy she said that she was feeling the same way, and so we returned to Haiti 5 days later even though the State department was still placing Haiti in a level 4 category. Since we returned we have honestly had the greatest harvest in the history of Charis! Vodou priests and priestesses are daily coming to Christ, and at their request we have burned vodou items almost every day. At the time of my writing this, I just yesterday burned a great volume of vodou paraphernalia, including a tree that had served as a ‘home’ for the demon served by the respective vodou priest. Just this morning a young man who works with us came and told me that following a Bible study I did yesterday in the mountain, 11 people heavily involved in vodou had their hearts pierced by the Word of God and want to remit all of their vodou items to burn this week! To think that I would have missed all of these opportunities if I had continued to allow fear to rule over me. As you all read this it is my prayer that you are inspired and motivated by my mistakes. God has work for every one of His children (those who are saved) on this earth that He appointed before time began (see Ephesians 2:10). Are you aware of God’s will for your life? Geographically are you where God has called you in this world? Or, are you allowing fear to masquerade as God and lead you into a life of self- determined religious efforts that assure your safety and comforts? If so, please determine today to find God’s will for your life through prayerful inquiry and be prepared to be stretched and challenged beyond anything you thought yourself capable of. If you want God to truly rule over your life you cannot allow fear to supplant Him. Countless people in the world are waiting for you to show up at their doors or in their villages—please don’t make them wait any longer! Enter into the spiritual warfare that our salvation has armed us for, and don’t allow fear to deter you from obedience like I did! What follows is a list of former vodouists that have chosen to follow Jesus Christ. When a Haitian leaves vodou, it often means losing their primary income and means of survival. Charis is beginning a recovery ministry to help our new brothers and sisters in Christ become self-sustaining. A special thank you to Shepherd of the Hills Lutheran church in Austin, TX for their support in helping us jump start this recovery ministry. Anyone who would like to give towards this program, please mark “ACTS 26:18 MINISTRY” on your on-line donation or on the memo line on your check. Needs to pay for his son’s school ($300) and would like to start selling meat as a Butcher ($500). Would like to sell cell phones, batteries and chargers. Want to run a little porch store together at their house. Wants to be a motorcycle taxi driver (needs a new motorcycle with license and registration). Would like to start a little business selling electronics. Wants to go to school to learn agriculture/ laying tile floors. Wants to raise and sell animals (goats, pigs, chickens). Needs a safe place to live. Wants to start teaching the children’s group in her community. 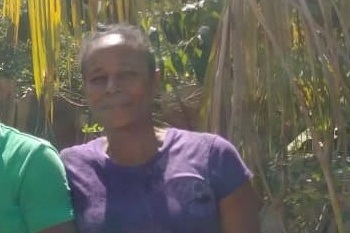 Needs help paying for her 2 sons’ schooling this year. Very old man who would just like to be supported each month with food and medicine. Wants to start a business selling radios and electrical items. Wants to start selling clothes and dishes. Lukeson’s dad. A very old man who would just like to be supported each month with food and medicine. Wants to start a business selling telephones and chargers. Wants to be a butcher and sell meat in the market. Wants to sell snacks and cold drinks. Wants to sell children’s clothes and shoes. Wants to complete school and needs a safe place to live. Needs 6 car batteries & paint to fix up and run his barber shop. Wants to start a motorcycle wash (needs a generator and power washerer). Has land and wants to plant 150 banana trees. Wants to start a motorcycle parts shop. Wants to sell dry foods (flour, beans, sugar, etc.). Wants to sell laundry soap and hygiene products. A very old man who would just like to be supported each month with food and medicine. Donate to help one of these former vodouists. Hear about the latest activity from the field by following us on Facebook.